The North Loop. Unique bars and cafes, hip restaurants and stylish boutiques all within an easy walk to downtown, the ballpark, transit and the river. An ideal place to live, work and succeed. From creative ad firms to law firms, from tech start ups to Fortune 500 firms, the North Loop is Minneapolis’ most progressive office submarket. The businesses that choose to locate here want their employees to have an authentic live-work-play location and want to be surrounded by and connected to one-of-a-kind restaurants and cafes as well as unique local and national retailers. Grab a cup of coffee. Meet for lunch. Hop on the Cedar Lake Trail and take a bike ride along the Mississippi. 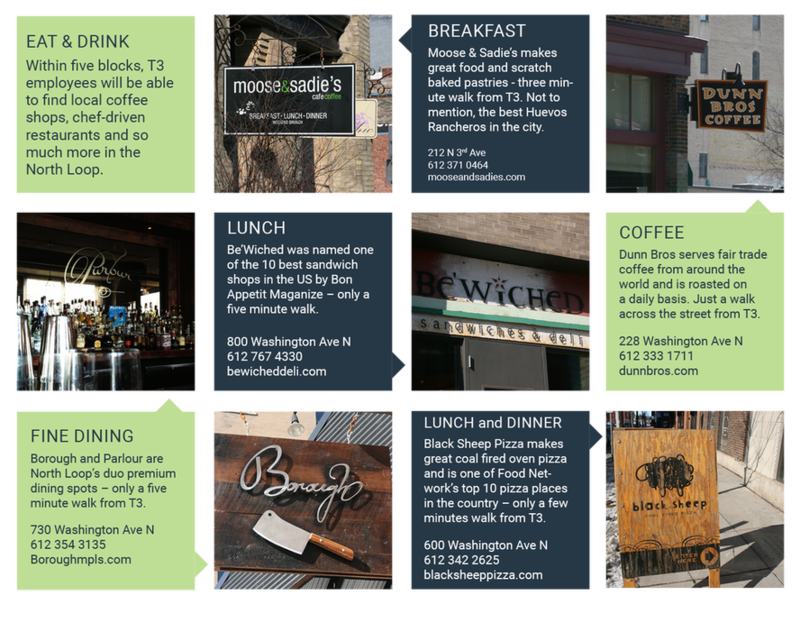 Hang out for happy hour, or take a client to a memorable dinner, all within walking distance.